In times past the United States was a world leader who set the agenda for meetings like the G-20 which took place in Hamburg, Germany last week. What a difference an election cycle makes! Donald Trump mostly stuck with the script, which is to say didn’t completely embarrass both himself and the United States and may be evidence that his handlers are finally getting a grip on what keeps him mostly on track. Unfortunately, we are so desperate for him to do his job, that any time he stays remotely on script the media praises it as ‘Presidential’ as if they think he has finally grown into the job and decided to care about the country/world and its citizens. But his hyperbolic praise, and stunningly simplistic responses to complex issues did nothing last week to ease the rest of the Western Leader’s concerns about the U.S. vacating its leadership position. 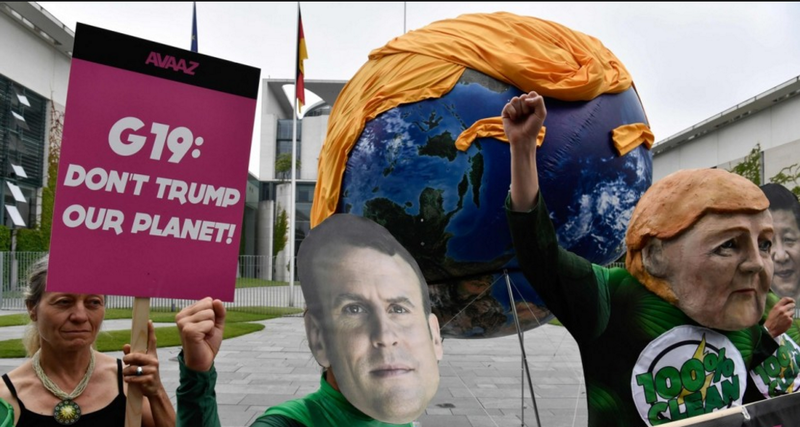 So it is no surprise that nineteen of the nations at the summit re-affirmed the Paris Accord, calling it “irreversible” and then seemed to leave the door open for the U.S. to rejoin at a later date (thank you so much for having even a little hope that U.S. citizens can fix this mess). 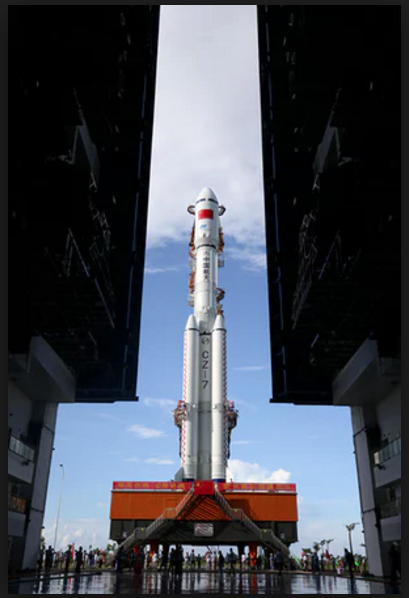 The wording was careful and gave a nod to the departure of the U.S.
China’s powerful Long March 7 rocket, designed to lift space station modules into orbit, is rolled out in June 2016. Despite this awkward part of the meeting, Trump could still have used this opportunity to rally the group to do something more than symbolic about the growing nuclear threat in North Korea, showing at least some minimal leadership, but he let that opportunity slide, instead falling back on bland, shallow platitudes that pass for policy in this sound-bite Presidency – again, another opportunity wasted. 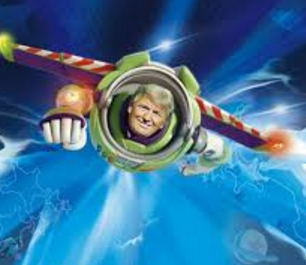 Sadly for the U.S., vacuums don’t last for long, particularly the leadership kind, and if nothing changes, Russia and China seem prepared to step up to the plate, not only in the terrestrial arena, but the celestial one too (in fact, The Guardian featured a story last year titled, “China, the new space superpower”). These nations’ view of the world is very different from the one the West has been working on for the past half century, and the course of the Earth could be altered in a way that most of us reading this column could find uncomfortable. 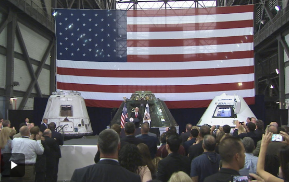 Last Friday, Vice President Mike Pence paid a visit to Kennedy Space Center where he sang the praises of the newly-rebooted National Space Council, a Cold War relic that hasn’t been active since being mothballed in 1993 by then President Clinton. Under its new iteration, the NSpC will include members of Trump’s Cabinet, the president’s counterterrorism assistant, other executive branch officials, and NASA’s Administrator, who has yet to be named by Trump. The executive order creating the NSpC also calls for a “users’ advisory group” to “ensure that the interests of industries and other non-Federal entities involved in space activities, including in particular commercial entities, are adequately represented” in the council. 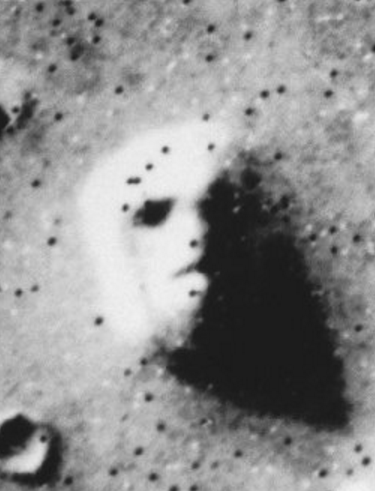 Boots on the Face of Mars? 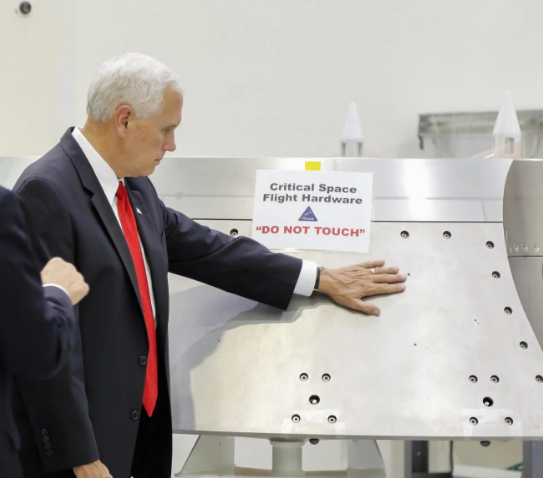 Soon after his speech, in one of his first actions as NSpC head, Pence put himself in an embarrassing position as he took a lead from his boss by patting NASA’s Orion spacecraft’s titanium forward bay cover,just below a sign that read: “Critical Space Flight Hardware ‘DO NOT TOUCH.’ Trying to make light of the obvious “faux paw,” the “I’m-with-stupid”-in chief defended himself from the inevitable lampooning by internet memers and the twitterverse by jokingly throwing Florida Senator Marco Rubio under the bus, saying that his KSC tour companion “made him do it.” For its part, NASA forgave the whole episode by tweeting that the hardware was going to be cleaned anyway. 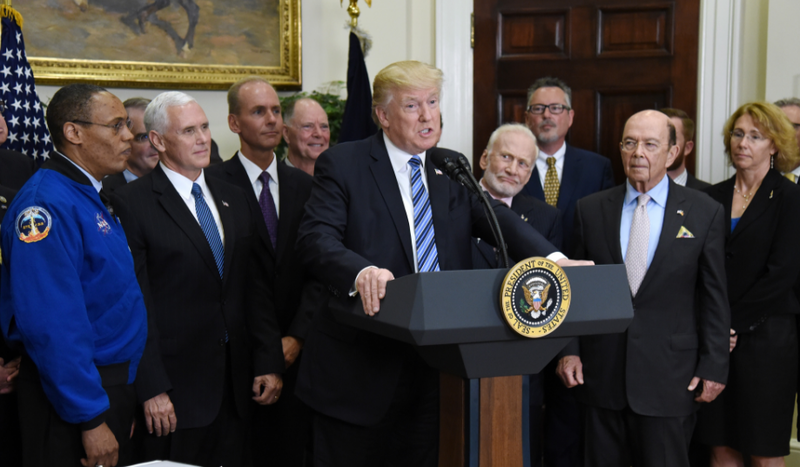 Former Shuttle and Space Station astronaut Sandy Magnus (far right) is left out of Trump’s National Space Council comments. The White House gathering was also notable for its not-too-subtle misogyny when BOTH Trump and Vice President Pence failed to acknowledge the lone female astronaut in the room. 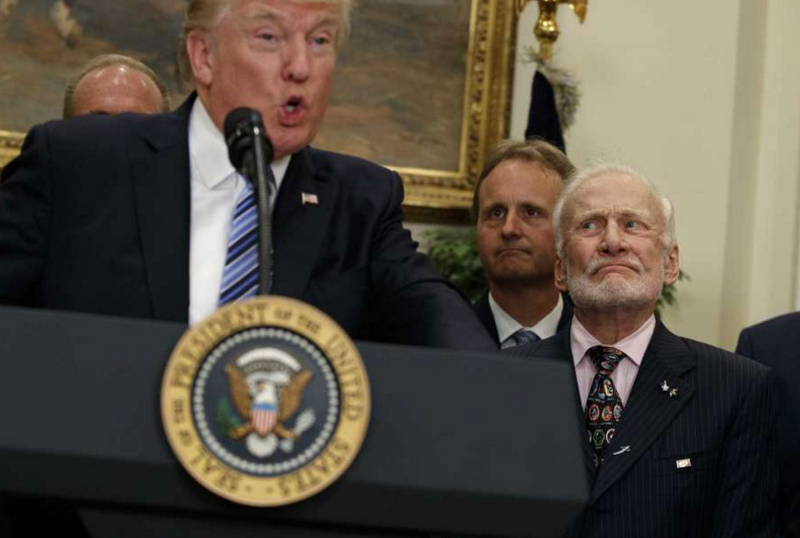 Besides Aldrin, three additional former and current astronauts were on hand for the signing, including the unheralded former shuttle and space station veteran Sandy Magnus, who is currently the executive director of the American Institute of Aeronautics and Astronautics. Apparently , Trump and Co. view the cosmos as one humongous boys club too. A new study by a pair of Astrobiologists at the University of Edinburgh, Scotland shows that the Sun’s ultraviolet rays hitting chlorine compounds in the Martian soil may be a huge deterrent in supporting any microbial life – at least such as we know it. Known as perchlorates, these aggregates are abundant on the Martian surface, and have been thought to be favorable to life on the Red Planet by, for instance, drastically lowering the freezing point of water. 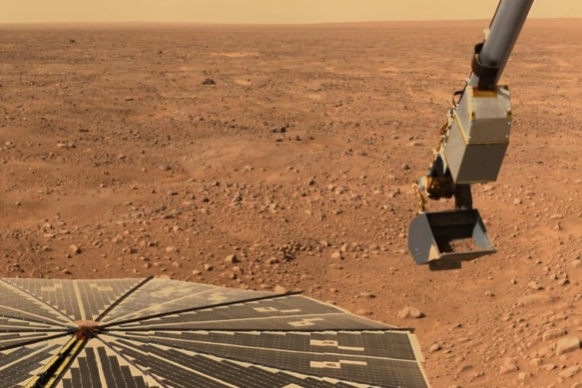 However, in this new report, the two scientists recreated radiation and perchlorate conditions that common spacecraft contaminant bacteria would encounter on the Red Planet’s top soil, and found that the microbes were killed off within minutes. According to Scientific American, experiments also found that adding additional substances found in Marital soil only increased the bacteria death-rate several fold. So,the researchers conclusion was, if you’re looking for life on Mars, it’s best to start digging: “If you’re looking for life, you have to additionally keep the ionizing radiation in mind that can penetrate the top layers of soil, so I’d suggest digging at least a few meters into the ground to ensure the levels of radiation would be relatively low,” one of the scientists told Space.com. 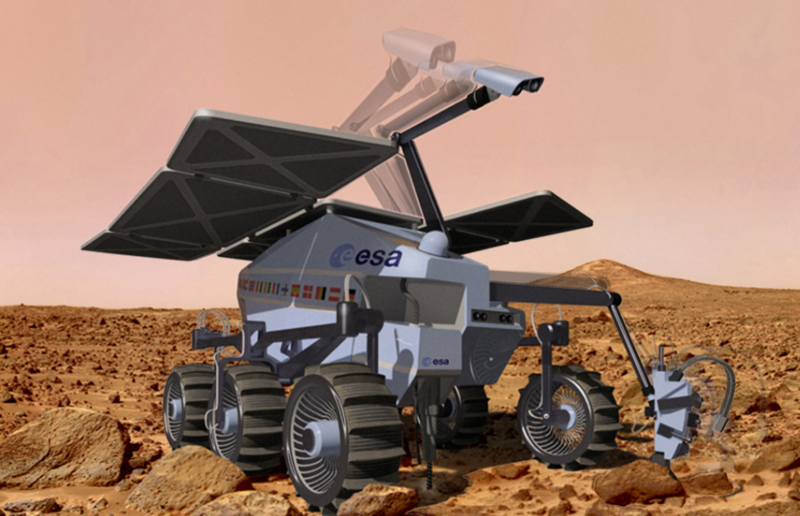 Fortunately, the European/Russian ExoMars rover, which is scheduled for launch in 2020 on a mission to search for life on the Red Planet, will be capable of drilling up to 6.5 feet. One caveat in the study’s results is that the garden-variety microbe used in the experiments is not an “extremophile,” or an organism evolved to survive the harsh Martian conditions. “It’s not out of the question that hardier life forms would find a way to survive” at or near the Martian surface,” one of the authors added. Combining the eagle-eye of the Hubble Space Telescope and the natural magnification power of gravitational lensing, astronomers have been able to fabricate a combined pic featuring an edge-on disk galaxy studded with brilliant patches of newly formed stars as they appeared 11 billion years ago, only 2.7 billion years after the Big Bang. “When we saw the reconstructed image we said, ‘Wow, it looks like fireworks are going off everywhere,’” said astronomer Jane Rigby of NASA’s Goddard Space Flight Center in Greenbelt, Maryland. NASA scientists were able to perform this photographic feat by using the gravity of a giant galactic cluster between the ultra-distant target galaxy and Earth and then employing a special computer code to remove the stretched arc distortion caused by the gravitational lens phenomena, revealing the disk galaxy as it would normally appear. In the reconstructed image (seen above) shows two dozen clumps of newborn stars are visible, each spanning about 200 to 300 light-years across, contradicting the currently held theory suggesting that star-forming areas in the early universe were much larger — perhaps up to 3,00 light years or more in size. 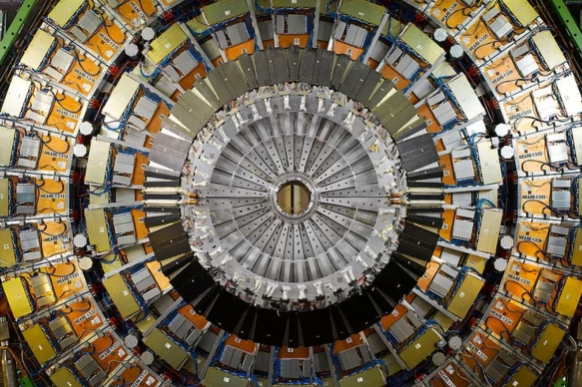 This entry was posted in The Weekly Revolution and tagged China space superpower, G-20, gravitational lensing, Hubble Space Telescope, Large Hadron Collider, Life on Mars, National Space Council, Paris Climate Change Accord, Toy Story by bonwitt. Bookmark the permalink.